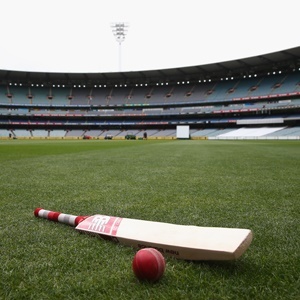 Cape Town - South African cricket has lost, with the passing this week of Grahame Chevalier, another of its members of the iconic 1969/70 Test squad which clean-swept Bill Lawry's visiting Australians 4-0. Chevalier, a left-arm spinner who was born in this city and played all of his first-class cricket for Western Province, was 80. Aged almost 33 at the time, he earned a lone cap for the national side in the first Test at Newlands, where South Africa powerfully signalled their series-long intentions with a 170-run triumph. Although he was later replaced for the second Test by John Traicos, Chevalier prospered at his home ground, claiming match figures of five for 100 (3/68 in the second innings). He also proved a thorn in the flesh of star Australian batsman Ian Chappell, catching him from leg-slip for a duck in the first innings after Lee Irvine had initially, acrobatically pushed the ball up, and then bowling him for 13 in the second. Chevalier was later selected for respective tours of both England (1970) and Australia (1971/72) that never materialised as the country’s apartheid-caused isolation took a firmer hold. He only began his first-class career at the age of almost 30, but managed 154 wickets at an average of 23.72. Chevalier, who had had a short illness, is survived by his wife Noon, children Julie, Gen and Byron, their spouses and grandchildren.